Wash and clean blueberries (removing any stems) and let dry slightly on a kitchen towel. 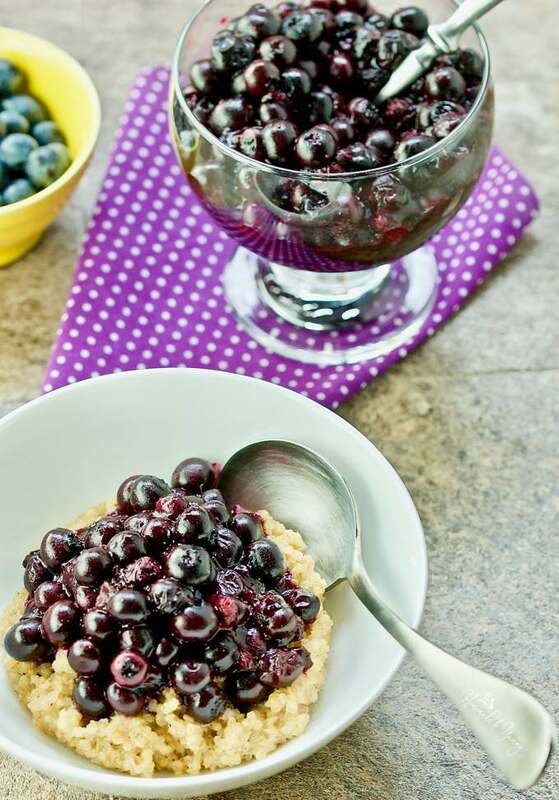 Place clean berries in a heat proof baking dish. Add the sugar, and give them a stir. Bake in oven for about 12 minutes, stirring several times. Berries are done when the berries are just about ready to burst open. I used 1/2 milk and 1/2 water, and added some chai seasoning (optional). 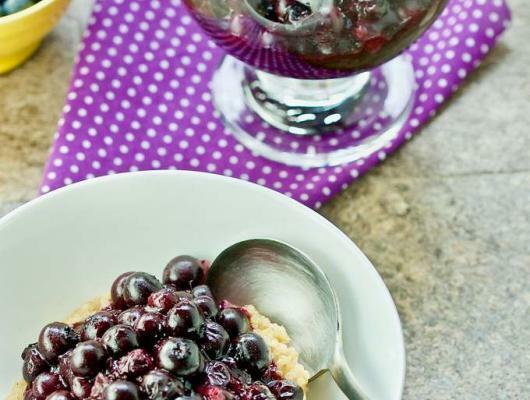 Place quinoa in serving bowls, and top with berries.